One of Latin America’s biggest rail-based logistics operators has signed an agreement with GE Transportation to have ‘Trip Optimiser’ technology installed in its fleet of locomotives. 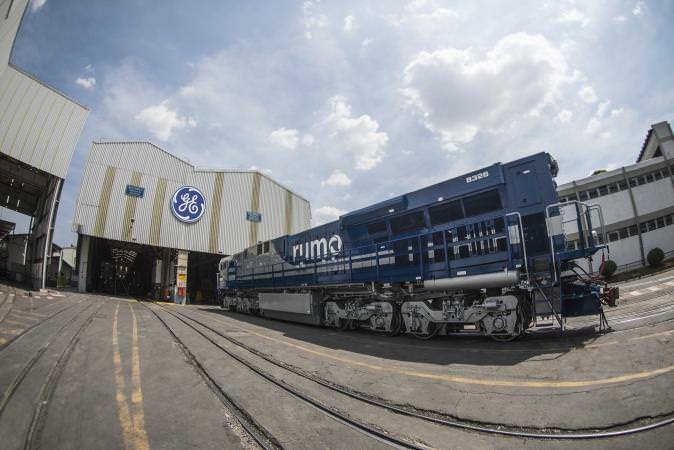 From 2018, Rumo will have GE’s onboard train control system in its locomotives on the North and Sao Paulo lines, the first step in transforming them from manual trains to fully automated ones. Once installed the technology will learn the trains’ characteristics, create an optimal trip profile, and then automatically control locomotive throttle and brakes for a more fuel efficient journey. GE Transportation’s Latin America commercial director Danilo Miyasato said that Trip Optimiser will not only increased rail productivity but “radically change logistics for the better”. Rumo technology director Rubio Potzmann added: “When integrated with our global technology strategy, it will bring considerable precision in the movement of freight, generating greater efficiency for our operation.